Calcium is an essential mineral that helps maintain healthy bones and teeth. You can find this mineral in most dairy foods. Calcium can also be dangerous when it has an exothermic reaction with water and acids. When in contact with body moisture it can cause severe irritation of the skin. And, if swallowed, it can have the same in the mouth, esophagus, and stomach, with fatal results. Scary, isn’t it? Well, if a swimming pool doesn’t get the proper maintenance, white spots of calcium can appear on the tile, walls, and floors of your swimming pool. But, not to worry; there is a way to get rid of them if caught on time. Hard water brings and leaves calcium residue. 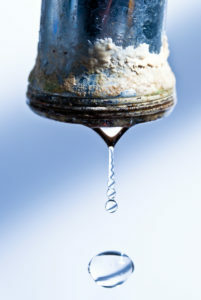 In areas where hard water is present, it is noticeable in faucets, sinks, and tubs. The southern part of the USA has high temperatures for most of the year. It means that the water evaporates and raises the temperature of the water itself. If your swimming pool water has a high pH, the combination of high alkaline and warm water will begin to form a calcium scale in your oasis. How Can You Distinguish Calcium? Well, there are two types of calcium crystals. Calcium silicate looks like a knotted rope on metal and plaster, while calcium carbonate is a crusty deposit found in the corners of the swimming pool and appears as a flaky substance on the surface of the pool. Just by looking at them is not pleasing at all. Pool filters work to screen out all types of natural debris like bugs, leaves, and dirt. If you think that a water filter will help eliminate calcium, we have news for you. When calcium accumulates in the screen, it slows the equipment and, eventually, gets clogged up. Calcium grows and spreads to other parts of the pool, even to the bottom. It can form pits in the plaster. So, this means a costly repair to refinish or resurface. As mentioned earlier, people who swim in a pool with calcium can develop skin and eye irritation. Calcium scale damages your pool and the pool system. It can continue to get worse unless you have it removed. A natural cleaning agent helps to remove the early appearance of calcium on the swimming pool tile. Just get an old toothbrush or a hand brush, and a spray bottle with vinegar. Spray the solution on the affected area and brush it out. If you notice that the calcium doesn’t go away, then it could be more serious. This harsh and dangerous cleaner is available at your local home improvement or pool supply store. You MUST NOT ENTER the swimming pool while using the product. The chemical is a powerful one that penetrates nostrils, mouth and can affect your vision. It is vital to have goggles, rubber gloves, and a mask or a respirator if you are handling the cleaning yourself. Put on gloves, goggles and a respirator. Go outside with all your materials. Prepare the cleaning solution with one gallon of water and 8 ounces of muriatic acid (use the plastic measuring cup). Pour the acid into the water slowly. Mix the solution slowly (mixing them fast can make it boil). Label the spray bottle and pour the liquid using the measuring cup. Stay outside the swimming pool. Spray the tiles, then scrub them using a non-abrasive scouring pad. Once you finish, call the local pool supply business and ask how to dispose of the unused muriatic acid properly. If you have no experience using muriatic acid, we highly recommend having a professional to do the job. At the same time, professional technicians can give you a quick tutorial on how to do the process without endangering those around you. The pressure washer used to remove calcium scale from around your pool is not the same one you use to clean around the pool decking or your driveway. 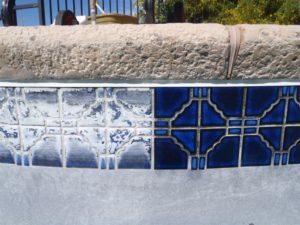 Professional pool cleaners use equipment called bead blasting. 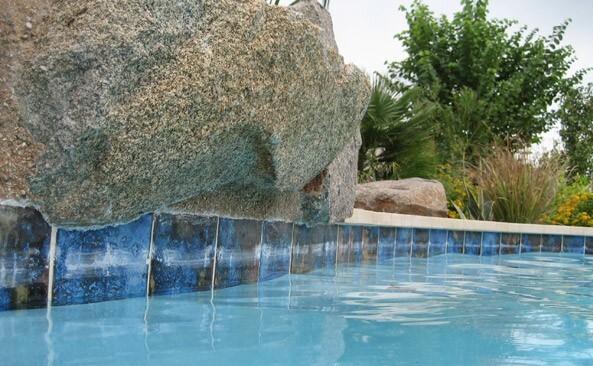 The process uses compressors to blast bead, sand and other elements that help scrape the calcium accumulation from the tiles or walls of your swimming pool. It is fast and works amazingly well. However, with proper maintenance, you won’t have to do this often, or else, it can be expensive. We hope this will help you keep your pool water in optimum condition. Remember that our team at Platinum Pools is ready to help you with any questions and all other poo-related inquiries. Call us at 1.281.870.1600 (Houston), 1.409.898.4995 (Beaumont), or 1.361.575.0183 (Victoria). Our team of pool experts is ready to help.